If you’re suffering from aches and pains that flare up after waking but ease up during the day, your mattress could be a contributing factor. There are so many mattress options out there that cater to every individual need. Take some time to determine what your body specifically needs as you begin a search for a new mattress. Your mattress can make a significant impact on how your body feels when sleeping and after waking, so it is essential to choose a mattress that will properly support your body. Keep in mind, however, that different mattresses will support different people in different ways and there is really no one mattress that is considered ‘the best’ for everyone. Mattress support comes directly from the core of the mattress, and its firmness is directly correlated to the materials used to construct the mattress. Be sure to consider the materials used to make the mattress when shopping. Also, consider your bed-sharing partner. Mattress shopping can be stressful when each person has different desires, needs, and ideas about what is the most supportive mattress. Be sure to shop with your partner if applicable, so you both walk away happy – and supported. Here are some important things to consider when shopping for a supportive mattress. Research, research, research. Before even setting foot in a mattress store, do some online research, particularly for your specific areas of need. Ask your doctor. When all other issues are ruled out, your mattress could be the cause of your back, neck, hip, or leg pain. Your doctor may be able to recommend a new mattress to support your specific needs. Don’t listen to marketing labels. Some mattresses are labeled as ‘orthopedic’ or ‘doctor-approved’ but don’t buy into the hype. The reality is that there is not a single medical organization that recommends any particular brand of mattress. Test it out. Head to your local mattress store and expect to spend a good portion of your afternoon there testing out mattresses. It is not enough to simply sit on a mattress. As awkward as it may feel, you are encouraged and expected to lie down on the mattress in the position you typically sleep in. Expect to spend at least 10 minutes on each mattress you test out to really get a feel for the support it provides. Firm may not be best. Many people hear that firm mattresses are best for support, but that is not always the case. In fact, some people with lower back pain actually prefer a mattress with a medium amount of firmness. When heading to the mattress store, be sure to test out mattresses that are soft, medium, and firm to determine which offers the most support for your pressure points. Find what you like, then try some more. The first step is to figure out if you need a soft, medium, or firm mattress. Once you determine that, ask the salesperson to show you other mattresses in that same level of firmness or softness. Then repeat the process. 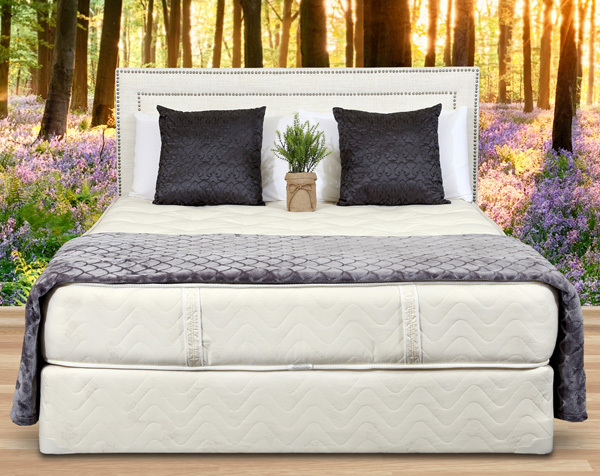 You will find that although two mattresses are of similar firmness, they may feel very different depending on the materials they are made with. The key to finding a mattress with support is to research and physically test them out. The time and money spent on a high-quality mattress will make your nights more restful and your days more productive. Contact Gardner Mattress to visit our showroom and test out our factory-direct mattresses today. We’ll help you find the right bed for your unique needs.